Log into your Systems Plus account. Systems Plus is a building systems documentation platform which provides a complete online solution for building systems documentation. Systems Plus provides the equivalent of the LEED required Systems Manual. 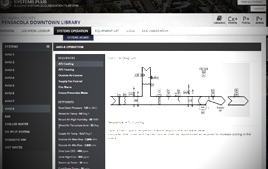 Information for equipment location, models, and O&M is all stored and quickly accessible through Systems Plus. Systems Plus provides the entire facility maintenance team and/or construction team a single, documented location to store, organize, and format the huge amount of documentation produced by the commissioning process. Since the system is web base, your building’s documentation is available to all web enabled devices including mobile phone, tablets, laptops and desktops. 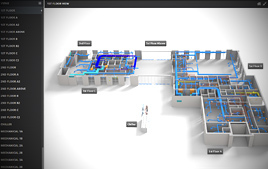 Location lookup is based on either 2d drawing or 3d building renders which show the locations of equipment and systems throughout the facility. The lookup can contain many views of the facility and provides building and project personnel with a quick and easy way to find equipment. Once a piece of equipment is found, the user can click on the equipment to go to the equipment view where all equipment documentation, sequences, and properties are available. One of the most confusing and least documented aspects of commissioning project is the final set of ‘As-Tested’ systems operations including all final setpoints, sequences, and diagrams. Systems Plus Systems Operations brings together all of this information into a single location. This information is then grouped and categorized by system. An interactive list of all project equipment is provided with information including equipment TAG, general type, specific type, make, model and parent system. Equipment can quickly be sorted, searched and filtered. Clicking a piece of equipment takes the user to the equipment view where all equipment documentation, sequences, and properties are available. 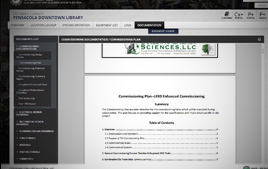 An integrated Commissioning Issue Log can be accessed and utilized by all members of a project team such as the Cx provider, controls contractor, facility management personnel, and other project management. This feature allows for documentation of performance issues including the attachment of charts, pictures, and other documents specific to individual issues. The log can be used to document actions taken to resolve operational issues. The log can be filtered and sorted by various characteristics and a report can be generated to PDF file. The Equipment Maintenance section provides detailed equipment maintenance tasks for each piece of equipment in the building as specified by the manufacturer. 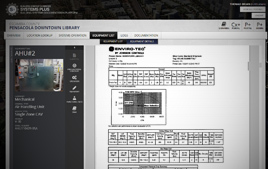 Maintenance data includes parts lists, maintenance tracking, maintenance history, and controls maintenance. 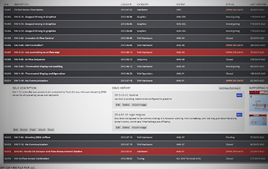 The maintenance section informs users of what maintenance items are due when, and allows users make comments and notes when maintenance activities are performed. 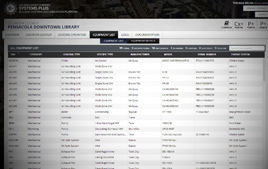 The Documentation section provides a full library of all project commissioning documentation including submittals, O&Ms, As-Built Drawings, As-Installed Controls, Commissioning Documentation and much more. This section is easy to navigate and is organized by documentation type. A built-in PDF viewer allows users to search, save, and print PDF documentation straight from S+.